I will post more and/or better audio as soon as it becomes available. That voice is one of a kind! Just gorgeous!!! What a great performance! It is obvious to anyone with half an ear that Clay’s voice is as good as ever. What a treat to hear him sing again! What a wonderful night and what a wonderful Clay Aiken performance! Thanks for posting Deona. What a wonderful evening for all. 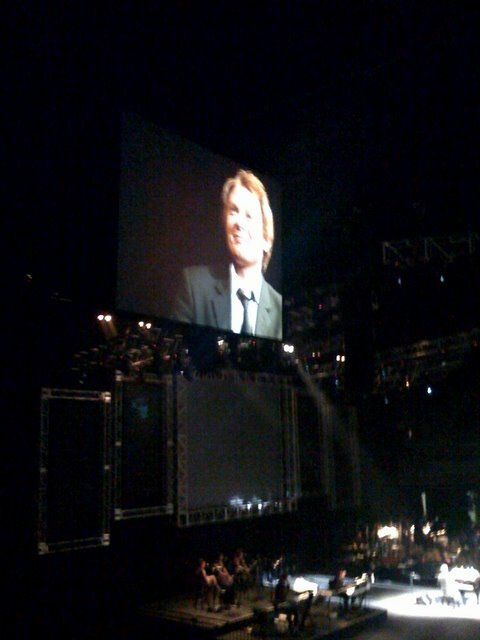 So happy that Clay Aiken was able to bring his style and grace to the stage!! Error: Error validating access token: Session has expired on Tuesday, 21-Aug-18 16:13:01 PDT. The current time is Monday, 22-Apr-19 07:39:08 PDT.